Signed copies are available for $22.00 (CAN). Price includes shipping within Canada. 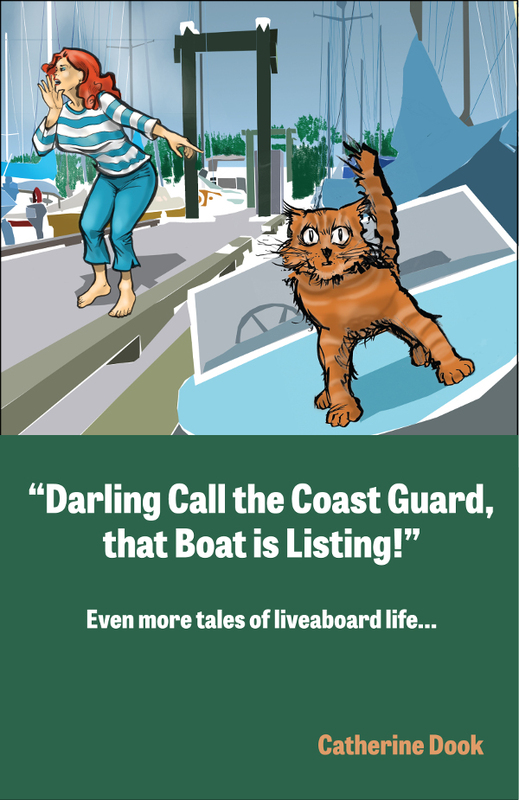 Whether she’s creating disasters in the galley, mishandling mooring lines, or battling recalcitrant marine plumbing, Canada’s most endearingly inept boater approaches life (and her nutty dockside neighbours) with a why humour that’s sure to draw a chuckle from boaters and non-boaters alike. Catherine Dook continues to delight her readers with the ongoing adventures and misadventures of the liveaboard boating community at Mottle Cove. Read, laugh and learn as Catherine’s wonderful tales unfold. Sheer pleasure. Another winner for Catherine Dook! “Darling Call the Coast Guard, that Boat is Listing” is her third book in this highly collectable series. Catherine has a distinctive talent in turning the ordinary into the extraordinary – and she does it with wit and style. 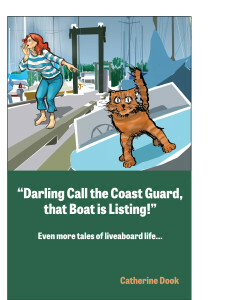 More about "Darling Call the Coast Guard that Boat is Listing"